Vietnam is a beautiful country with many contrasts in the south and north. When we came to this country for the first time we already had visited many other countries in SEA but everything is a bit different in Vietnam. We give you 10 essential Insider Tips in this post and tell you where you can save money or what you shouldn´t miss. It is possible to travel to many countries in SEA by “Visa on Arrival”. Also in Myanmar it is possible since 2015. You can visit Vietnam since 2017 with “Visa on Arrival when you didn´t stay longer than 15 days. Otherwise you have to organize a Visa in advance. Therefore you should contact the Vietnamese embassy to get your Visa before you start your trip if you don´t want to get in trouble. 2. Where sould I start? The country is 1650 km long from north to south and so you have to think about your starting point for your trip. The northern part of the country consists mostly of highlands and the Red River Delta. Phan Xi Păng, located in Lào Cai Province, is the highest mountain in Vietnam, standing 3,143 m high. Southern Vietnam is divided into coastal lowlands, the mountains of the Annamite Range, and extensive forests. When you travel to Vietnam for the first time you should start in the former Saigon: Ho-Chi-Minh-City. This city has strong western influences and this makes it way easier for Asian newbies. We are not big fans of well organized trips. Normally we let it drift and wait what kind of surprises will bring uns forward. When you plan a trip you should just set a start and end point. And so you should do it in Vietnam. Make a decision where you want to start and look for some “Must-see” locations. There will be always some special moments you didn´t expect in the beginning when you travel this way. Book your hostels oder hotels when you arrive or one day in advance. The most important Thing is: Talk to other backpackers and follow their tips and recommendations. In Vietnam you Need to pay with the local currency Đồng (VND). In the first few days you have to count each time you pay because the perity to Dollar or Euro ist huge. That means that you have to be good in math or you just use one of those currency apps on your phone. Fact is that Vietnam (food and hostels) es cheaper in the north. You only have to pay more in the tourist Hot-Spots like in the Halong-Bay. If you´ve asked yourself this question and if you have some trouble in answering it we can take you the last insecurity. You should definitly use a backpack. Vietnam is perfectly made for backpackers. Don´t take to much. Choose a mid sized backpack and you stay more felxible. One example: You can pack a smaller backpack on the back of a motorbike. And this is also our next tip! Vietnam – and there we are back in geography – is perfectly made for a Road Trip. There are many Options in booking a bike at one of the uncounted agencies or – and this is our tip – you buy a bike when you arrive. You can drive on the Ho-Chi-Minh-Path (an old trading route) from south to north or conversely. At the end of your Road Trip you just sell your bike to another backpacker. Thats how it goes and it is easier than it sounds. When you plan to do a trip like this you just need two things: A driving licence and some experience in negotiating. Here we give you some more informations about travelling by bike. The Vietnamese cuisine is unsurpassed and very multifarious because of the French influences. As the French ruled the country in the late 19th century. In many regions you will find some French influenced dishes on the menu. There is one dish in Vietnam that Needs some extra attention: Pho Bo. This authentic and super delicious soup can be found all over the country. In the north they say that you eat the best soup there and in the south say claim the same. Fact is that you should eat this soup for breakfast and we haven´t had a spoiled soup in Vietnam jet. 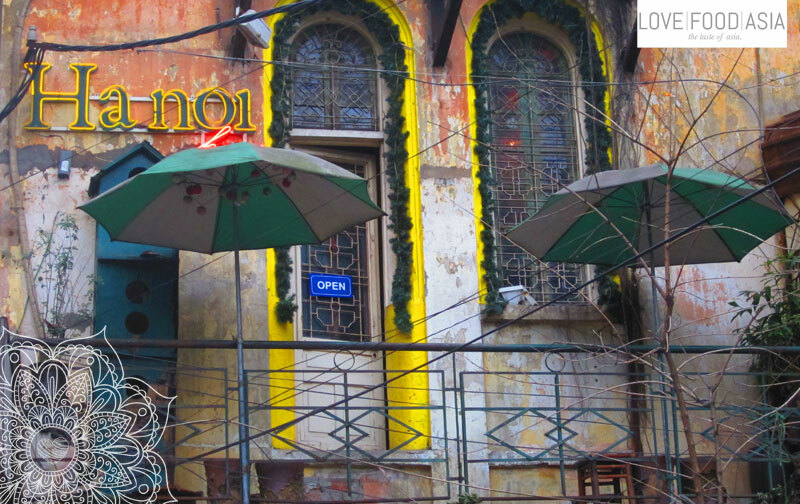 Here is a secret tip where you can find the best Pho in Hanoi! There is also one important rule: Don´t go to fancy looking Restaurants if you search for authentic food. You will find the best dishes right on the street. Just open your eyes: If there are many locals you will always be right! First of all you should make a choise: Travelling by motorbike or by bus. The busses in Vietnam are very comfortable and fast. And you can save some time because there are many night busses you can book. You will also save money because you don´t have to book a hostel or hotel. But in Addition we have to tell you that you should travel by train. We know that Trains are slower ad a bit bumpy but you won´t regret it. The trains have their own charme and you you can get in contact with the locals way easier. You can also have some amazing views when you drive along the coastline. So if sou have enough time we recommend this way of transportation. There is a perfect and very detailed Homepage by Mark Smith (The Man in Seat 61…). You yould check this page if you plan to make a Train ride in Vietnam. The Vietnamese People are very freindly and helpful and – lile everywher in Asia – you will never hear someone screaming or shouting after someone else. It´s all about respect because of the Buddhism. Never bring a local in an offended Situation. In Vietnam you always have to Keep your face. Keep calm and treat everyone like you want to be treated. The next important this are the body parts. Feet are impure in Vietnam and you should never Point on someone with your feet. Another impure Body part is the left hand. If you pay or give something to a local you should consequently use your right hand. And paying is our final tip for you. Finally we talk about money again. In almost every Situation you can negotiate about the price in Vietnam. Your Goal should be the half of the first price. Some vendors are also happy with one-third but don´t make it to low. Here it is the same like everywhere. respect the one you are negotiatin with and think about the “Keep your face” Thing in Buddhism. If you have to pay something you always use your righ hand or both hands. A light Das Geld übergibt man in der Regel mit der rechten Hand oder auch mit beiden Händen. Eine leichte Verbeugung ist dabei ebenfalls ein Zeichen des Respekts.